My never-ending research project! Part of it is the distractions of life; running my own shop, evenings as a performer of historical and maritime music… But part of it is following up various leads that often not only bear fruit but provide further leads. I, therefore, have amassed quite a collection and fat files on the ship and many of the crew members. Some of you have reached out to me but I have never heard from again – Please feel encouraged to renew our contact! Others have been in touch and we have made meaningful headway together – thank you! In following Madame Legras – the business associate of Moses Tryon in Saint Domingue – I have gotten rather an education on that period of Haitian history and the travels of the exiles. Also access to church/civic records leading up to the 1791 uprising. In the biography for Moses Tryon that I have been writing I will provide something of a biography and genealogy for her and her descendants through life in New Orleans, Louisiana. I have been trying to get in touch with a local historian in Haiti but thus far have come up empty. But in France I have several contacts who have been most helpful! As for Moses; but for a few loose ends I had suspected that – short of finally finding his portrait – I had reached the end of useful new data and the outline had been written and mostly filled in. And yet just recently an old request I had sent to a repository was replied to (some four plus years later!) with the information that new documents had been deposited in their collections! And they told me of another repository that I would never have thought of holding even more personal information/documents! Road trips in the planning stages. As for several requests for what the USS Connecticut had looked like, I have amassed enough data to be almost certain of her appearance… But thus far I am unaware of any contemporary images or plans having survived to this day. 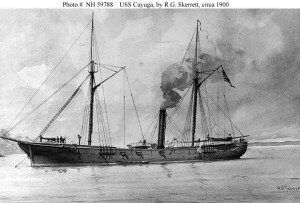 The images of vessels I have in the header are NOT of the USS Connecticut but rather are more recently drawn images of vessels during this war, borrowed off the internet as public domain. There are some images used not long afterwards cited AS the USS Connecticut but these are in fact generic transfers used for pottery, tableware, and printed matter commissioned by people here from makers in England… To prove the point, the very same images were used for myriad vessels with the name being the only variation. And keep in mind that these vessels DID look different from each other at this stage of the US Navy. Begun a new file for Russell Belden – Capt’s Clerk. Prompted by information that just came across my desk when I really had nothing for him all this time. If YOU have anything on him, do contact me! Updated data on midshipman George Tryon… Thank you Cheryl W! This article is currently being rewritten to reflect the latest evidence and my conclusions. Please visit again soon to see if I have posted the new article. Rick Gildersleeve is a descendant of Philip Gildersleeve – the man who was the subcontractor/foreman for the building of the USS Connecticut. On the evening of 16 June, Rick will be giving a presentation for the Portland, CT Historical Society regarding the family shipyard. This will touch on some fascinating local history and I think should not be missed. Rick may even touch upon the Connecticut. The USS Cayuga by RG Skerrett (c 1900) shown below which was built in the Gildersleeve Shipyard and played a critical role in the Civil War. On the other hand, the biography of Capt. Tryon is back on track, undergoing that second re-write in which I am inserting some relevant information of the era to explain what and why for Moses’ activities. The genealogical data for several generations is essentially complete, which will comprise the second section of the book. I have also been reviewing my data on Seth Overton – the contractor for the building of the ship Connecticut, and of Silas Butler – the purser of the vessel and later the purser for the Navy Yard in Brooklyn, NY. I’ll be adding some general data to this site regarding them, and assembling bios for them that may or not become books in their own right. Please continue to contact me should you have thoughts or questions, and if you are a descendant of any of these men, please DO contact me!